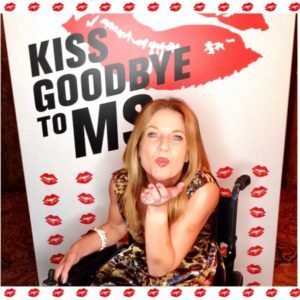 I am inspired by the work of Kiss Goodbye to MS and I want to do something to make a difference! Next month I am trekking to Everest Base Camp and want to raise some money to support MS. My inspiration is my school buddy Kerrie Newton who faces the challenges of living with MS every day…if you can, please help me reach my goal and help Kerrie and other MS sufferers by donating just a few dollars. Thank you!